Philippines – Harvard Jeans or Harvard University : Which Name Rings A Bell…? In 1988, FredCo secured a registration for HARVARD JEANS USA or goods in Class 25. It allegedly used the mark in the Philippines as early as 02 January 1982. 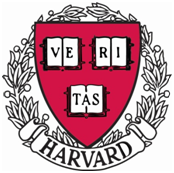 On the other hand, in 1993 ,Harvard was issued registration for the trademark HARVARD VERITAS SHIELD SYMBOL in Classes 16, 18, 21, 25 and 28. Harvard filed an infringement action against Fredco. In turn, FredCo in turn filed a Cancellation Action against Harvard that the date of actual use in the Philippines should prevail in determining who has the better right to register the mark. The Director General of the Intellectual Property of the Philippines found in the University’s favour. More than just using of the trademark in the Philippines, the applicant must own the mark sought to be registered. The right to register the mark is based on ownership, and when the applicant is not the owner, he has no right to register the mark. At the final instance , the Philippine Supreme Court ruled that Fredco’s registration should be prohibited because both Trademarks Law and Intellectual Property Code prohibits “the registration of a mark which may disparage or falsely suggest a connection with persons, living or dead, institutions, beliefs…”Also, both the United States and the Philippines are signatories to the Paris Convention which prohibit the registration of a mark already belonging to a person entitled to the benefits of the Convention and used for identical or similar goods. The Supreme Court declared Harvard an internationally well-known mark for the reason that it is rated as one of the most famous marks in the world and registered in at least 50 countries. The mark has been used and promoted extensively in numerous publications around the world, and considerable goodwill has attached to it worldwide since the founding of Harvard University more than 350 years ago. 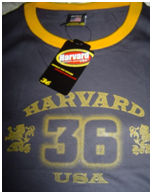 Being a well-known mark, Harvard was entitled to protection whether or not it is registered in the Philippines, and the University could prevent its unauthorized use on identical or similar goods. Fredco Manufacturing Corporation v President and Fellows of Harvard College (Harvard University), G.R. No. 185917(01 June 2011).